Fusing the best elements of the past with modern sensibilities; combining a futuristic ethos with nostalgia; using retro revery to create something new and exciting. Are we talking about synthwave legend Starcadian, or the award-winning Arturia V Collection? Both, obviously. A long-time user of Arturia’s software emulations of classic synths, the instruments in V Collection give Starcadian access to the authentic sound palette used by practically every chart-topping act through the 60s, 70s, 80s, and beyond. We recently had the pleasure of catching up with the mysterious music-maker himself to discuss his past, his setup, his love for V Collection, and to offer some words of wisdom to those wanting to start out on their own musical journeys. The sheer joy, mystery and undiscovered potential I feel when browsing through V Collection is incomparable. It's like a collection of my childhood dreams in fully editable form, ready to be unleashed. Around 1990, my brother went away to study music and left me a Yamaha V50, an Atari STE and an insane vinyl collection. No manuals. All I did was press buttons until things sounded good, soak in the music of the greats - from Faith No More to Jean Michel Jarre - and try to make sense of this new amazing world of music synthesis. The seeds were planted, and I couldn't stop thinking about the potential of a synthesizer/computer hybrid, an instrument that combined all other instruments with no limitations. 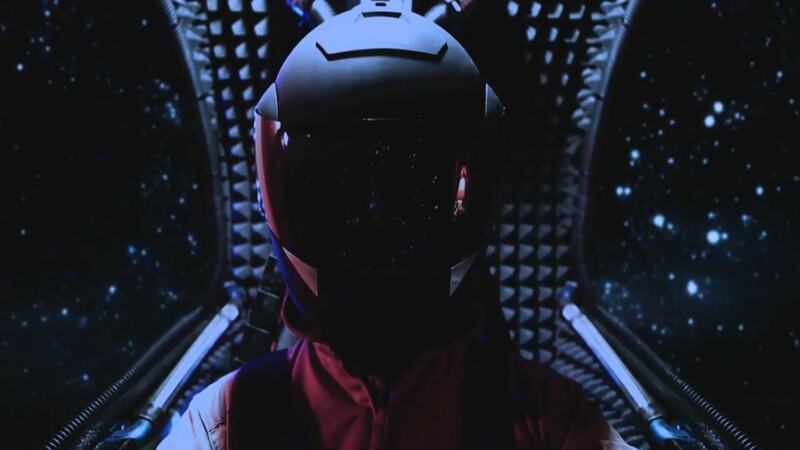 Anyone who has listened to one of Starcadian’s releases, stumbled across his music in a Synthwave playlist, or followed a recommendation to one of his spectacular music videos will know that this inspiration has come a long way. These influences and musical revelations developed and matured into the musician we see today: one foot rooted in the past, the other striding towards a cinematic future. 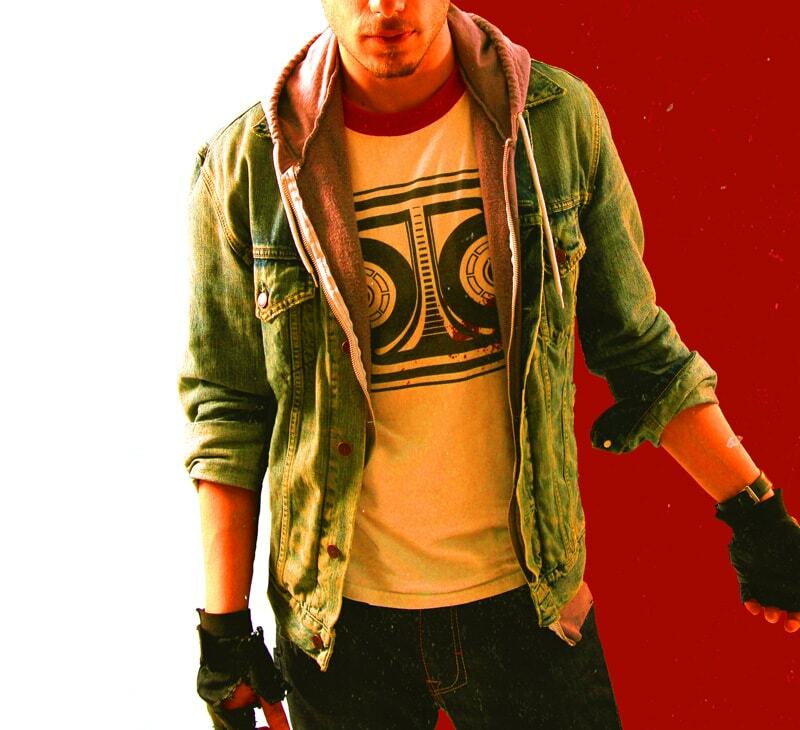 In one of my idiot savant moments, I decided not to pursue formal training and thrive in the mystery of figuring it out myself and find my happy mistakes. It took a long time, but I think the initial lack of formal training shaped my concept of music as something unstructured, untamed and abstract, able to aesthetically change at a moment's notice. Although revered as one of the shining lights of the Synthwave genre, Starcadian doesn’t like to be pigeonholed. Just as his own musical favorites revel in bizarre amalgamations, with acts like Mr. Bungle, Penderecki, Queen, and SebastiAn redefining what “genres” are, he learned that you don’t need to subscribe to a particular style to create the music you love. You don't need to make, say, just 80's sounds, or just metal or just bossa nova, you can do all that in the span of one song, if you put in the elbow grease and think it through. As far as synthwave goes, I'm afraid that there is a bit of an oversaturation of the market and it's starting to feel like the glam metal scene of the late 80's. Inspiration and standing on the shoulder of giants is the single most important building block of writing music. The recipe to a successful song is 30% past and 70% future, so I always try to keep it fresh and move around with my influences! Straight from the imagination of synthwave legend Starcadian comes this incredible sound bank for Analog Lab. 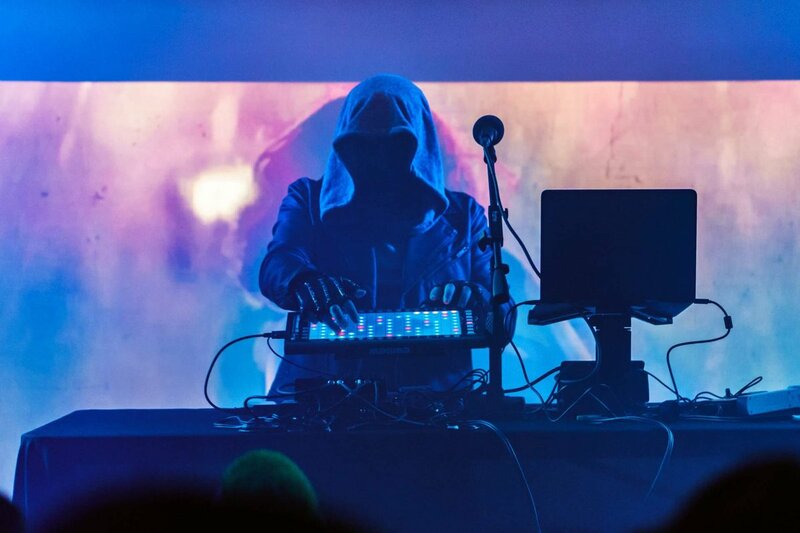 The mysterious musician behind the glowing metal mask is a long-time user of Arturia software instruments, and their future-retro sounds have been at the forefront of his greatest hits. Starcadian’s Signature contains 32 awesome presets for you to explore and use, every sound steeped in vintage chique and rendered with a contemporary edge. 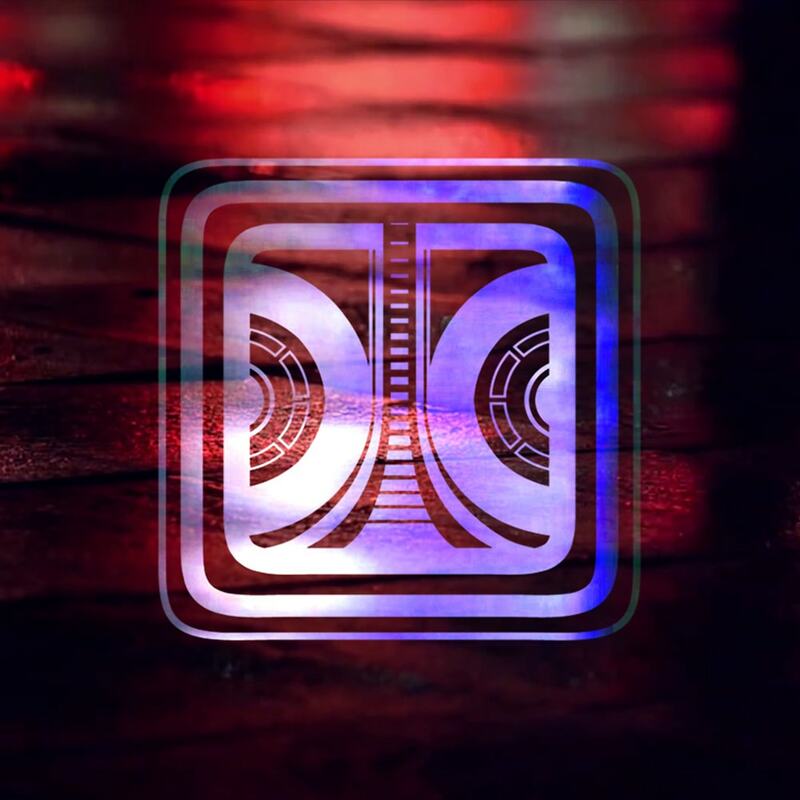 Whether you want to create some synthwave, retrowave, or outrun tracks yourself, or just want to use some awesome, attitude-packed synth sounds, this is the sound bank for you. 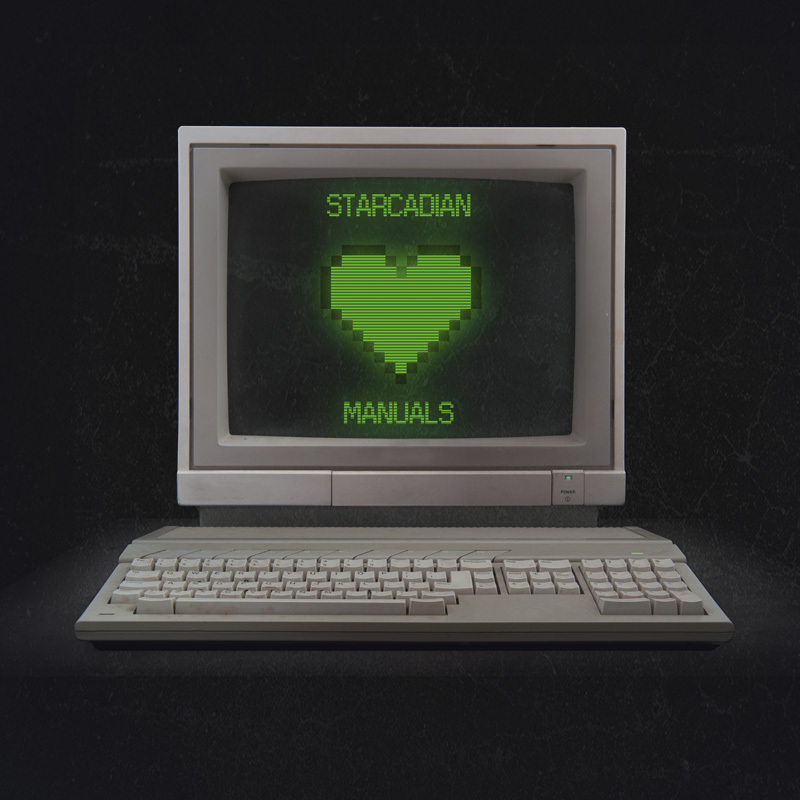 The perfect addition for V Collection or Analog Lab owners, Starcadian’s Signature includes presets for 12 individual instruments, covering bass, leads, sequences, pads, effects, and even percussion. Fans of Starcadian will enjoy being able to play with the sounds from some of his classics like “He^rt” and “Sunset Blood”, while hints at future tracks from his upcoming album Midnight Signals Part II are scattered among the presets. Make Starcadian’s Signature part of your creative sound palette, and start making “ear movies” of your own! Following the release of V Collection 6, which included reimagined versions of the classic Yamaha DX7 synth and the Fairlight CMI sampler, Starcadian started creating a personalized preset bank which both reflected his taste in tone, and also explored the depths and potential of the instruments in V Collection. “Starcadian’s Signature” contains 32 presets for the instruments found in V Collection 6. These can all be accessed and played using Analog Lab. When it comes to the actual process of music-making, Starcadian keeps things surprisingly simple. When lost in the cinematic marvel of albums like “Midnight Signals” or “Sunset Blood”, it’s hard to believe that almost everything you hear was created “in the box” in a humble bedroom studio. I mostly use Bitwig with Arturia VSTs and controllers. I try to keep the term 'bedroom producing' literal, and not over-stuff my living quarters! I get obsessive with drawn automation, I need bezier editing capabilities and I will A/B decimal changes ad infinitum. It's a slower process and it requires you having a semi complete vision of the sound before you start tinkering, but the methodical part of my brain kicks in and I need to have clean, organized curves of each action with as little keyframes as possible for further editing. Having said that, I love mapping the MiniLab knobs to random values and just going to town during sketching! True to his “I make ear movies” slogan, long-time Starcadian listeners will have noticed an overarching narrative developing in his music. Striking the perfect balance between creating hook-laden, catchy tracks that are conceptually strong isn’t always an easy process, and often inspiration comes through experimentation. Ultralove' took a whole year to write and in the process I wrote dozens of other songs. Songs like 'Polyanna' took a day or two from concept to mastering. I certainly find myself more often than not perusing presets and just going with them, especially when playing around with the instruments in V Collection. Sometimes it triggers a memory in the back of my head I had completely forgotten about. For example while making the presets, I stumbled on a weird ARP2600 preset that flooded me with memories of Edgar Winter's 'Frankenstein' and I just went down a rabbit hole of Deep Purple and Stevie Wonder synth sounds with that special filter ADSR. Aside from his DAW setup and virtual instruments, Starcadian also uses a select few controllers to give him more hands-on control of his sounds and production. We knew Starcadian was a fan of our software, but we were excited to learn that he also loves using our controllers, too. I have a KeyStep for sequencing, two MiniLabs for DAW knob mapping and macros, and I’m building up the courage to reconfigure my office to fit a KeyLab MkII. I often find my inspiration is a lot bigger than my allocated studio space, so I have to depend on software as much as I humanly can before deciding I don't need that last bit of usable free desk area. 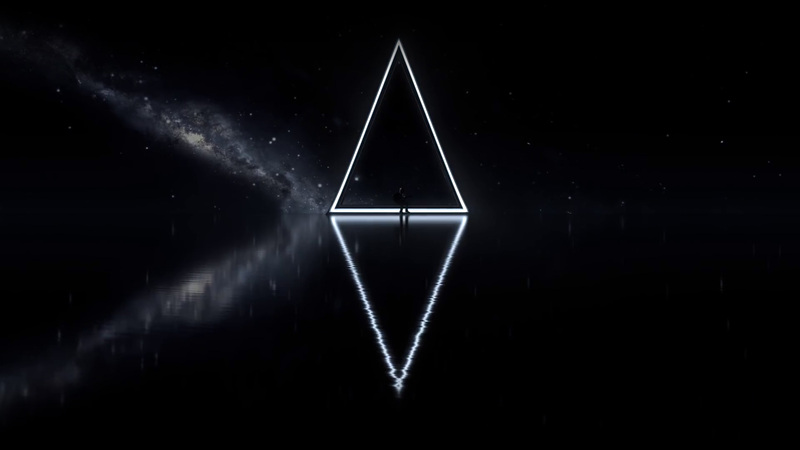 Harkening back to his early days exploring music and synthesizers, imagining what tomorrow may bring, and envisioning an “omnisynth” that could control everything and create any sound, it now seems that we’re edging closer and closer every day to that futuristic vision he had in his youth. Curious as to what a genre-pushing artist like Starcadian would like to see in the near future, we asked. I think MIDI Polyphonic Expression is a solid start for a new phase in synthesizers, but I would like to see Augmented Reality and Implanted Reality technology mixed with that. I've used the Motion Leap to play 'air synth' before and I thought there was definitely something there. If you can control modulation, pitch and custom attributes with tilt roll and Z depth, I think that could add a lot to a visual performance, but also to a physical connection to the music. In terms of his own future, it’s no secret that Starcadian is busy working on his latest album, “Midnight Signals: Part II”. He was excited to play us a track from the upcoming release “Deep Cuts”, and asked us to share it with you, too. Whatever amount of money you make, however many likes, hearts, retweets you get, however many fans you accumulate, none of that matters in the least to the gods of music. What matters is that you make what YOU want to hear and no one else has gotten around to making yet. I have a lot of mastering programs and people that I play my songs to, to see how they react, but my singular gauge for calling a song done is when I load it to my phone and get the shivers when I listen to it, while walking to work. When I get that tingly feeling I know the song has that one chord switch, that little silence or that one hard-hitting lyric that makes it the song I wanted to hear all my life.